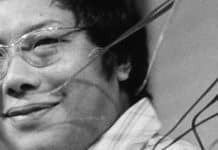 Chögyam Trungpa Rinpoche was born in a remote village in eastern Tibet. 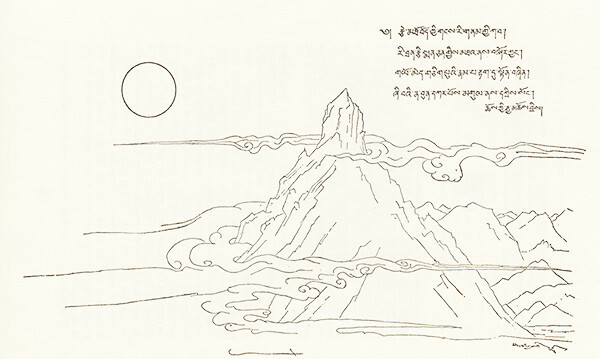 Chögyam Trungpa Rinpoche drawing of the place he was born a few days from Surmang. 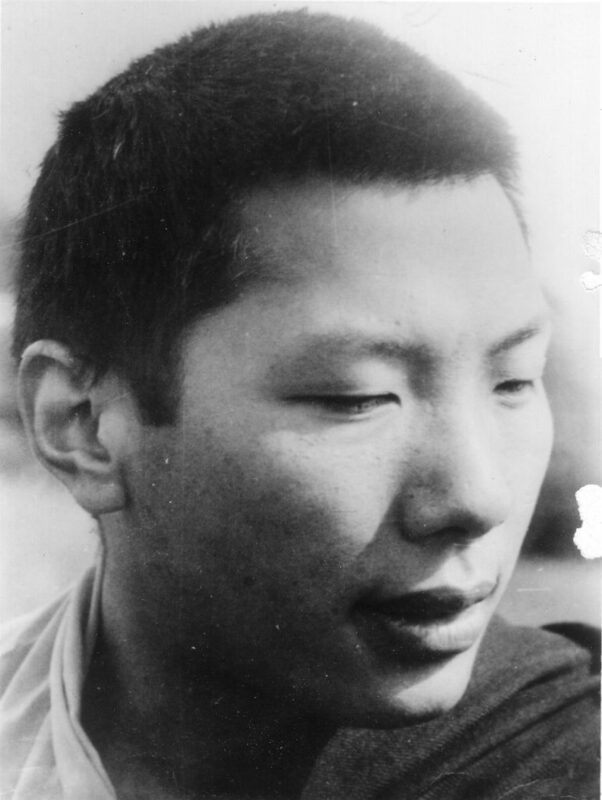 Recognized as Tulku while still an infant as the eleventh incarnation of the renowned Trungpa lineage of Buddhist teachers, he was raised to take his seat as head of the Surmang monasteries and governor of the Surmang region of eastern Tibet. 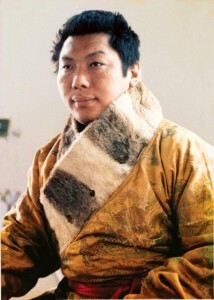 His childhood was devoted to a rigorous regime of study and training in the care of some of Tibet’s greatest living masters including his root guru, Jamgön Kongtrül of Sechen, Dilgo Khyentse Rinpoche (later to become a beloved teacher and friend to the Shambhala community), and the crazy wisdom master, Khenpo Gangshar. 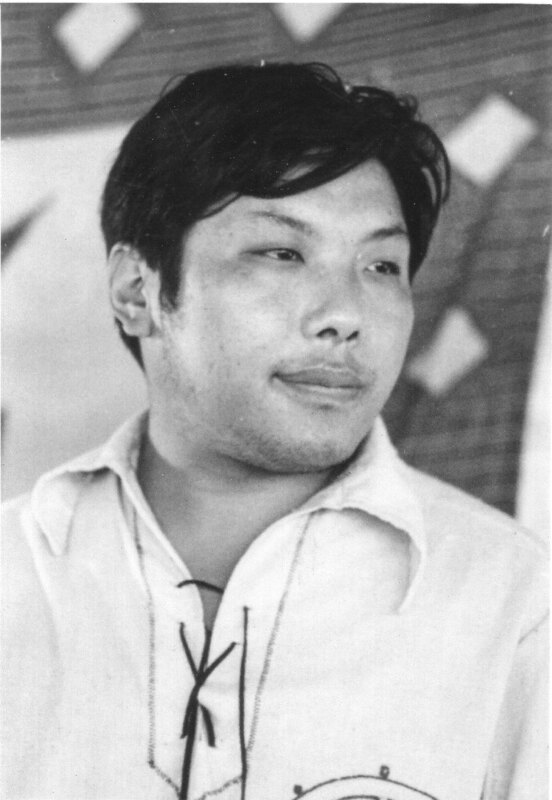 In 1958, at the age of eighteen, Trungpa Rinpoche completed his studies, receiving the degrees of kyorpön (doctor of divinity) and khenpo (master of studies). He also received full monastic ordination. By 1959, when he fled the Chinese occupation of Tibet for India, the Vidyadhara had developed into a brilliant leader and teacher. The next ten years of the Vidyadhara’s life, first in India and later in England, were marked by a passion to absorb everything he could about the West and find a way to present authentic buddhadharma to Western students. 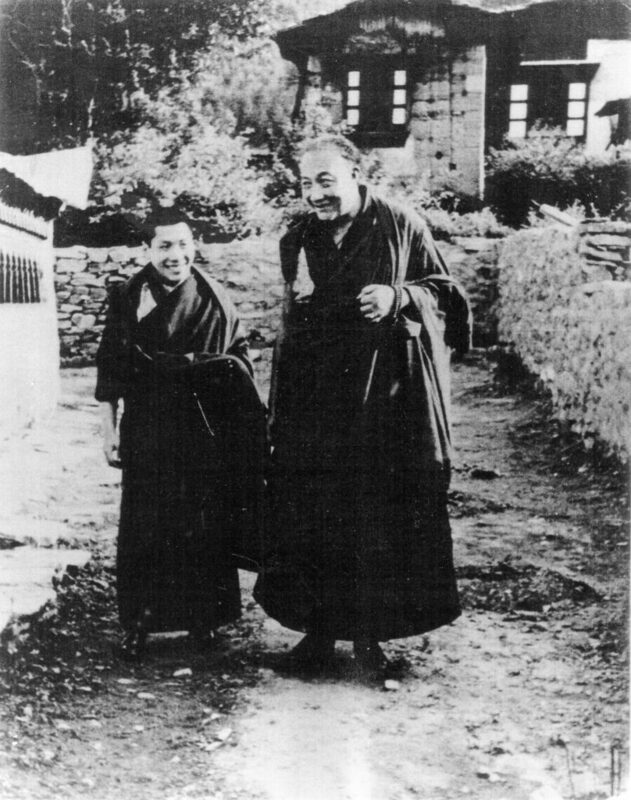 Although there was no lack of interest in Buddhism in the West, he found that students were easily distracted by the seemingly exotic nature of the teachings and the teacher. Shortly after returning to Great Britain, following a series of what he called “smaller warnings,” the Vidyadhara blacked out behind the wheel of his car and crashed into a joke shop, sustaining injuries that left him partially paralyzed on the left side of his body for the rest of his life. It was a profound turning point. 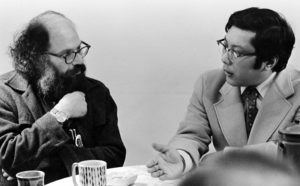 What he understood from the experience was the need to open up completely in a direct and intimate way to Western students. He saw that his robes and monastic vows formed a veil that blocked direct communication and understood that if Westerners were to hear the dharma, it must be stripped of Tibetan cultural trappings. 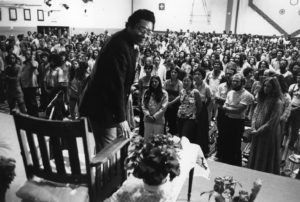 When the Vidyadhara arrived in North America in 1970, his presentation of the dharma was simple, direct, and profound—emphasizing the need to let go of expectations and the inherent dangers of the spiritual journey. His early talks struck a profound chord with his mostly young American audiences. Within a few years he was surrounded by a highly dedicated circle of students, all of whom had been deeply moved by his earthy presence, unexpected command of their culture and language, and the utter power behind his words. In the years that followed, the Vidyadhara traveled extensively in a nonstop display of energy and brilliance, gradually and steadily introducing new aspects of the teachings as students were ready to hear them. Practice centers and study groups formed in his wake, as students developed a personal connection to the teachings and the sitting practice of meditation. 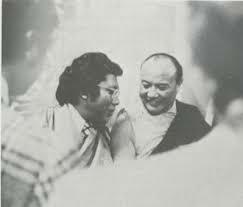 In 1973, he established Vajradhatu, an umbrella organization to oversee the needs of the growing community. 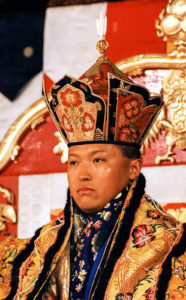 In 1974, Vajradhatu hosted His Holiness the Sixteenth Gyalwang Karmapa, head of the Karma Kagyü lineage of Tibetan Buddhism. The community, which had so far enjoyed a somewhat relaxed and informal relationship with the teacher and the teachings, now found itself hosting a dharma king. 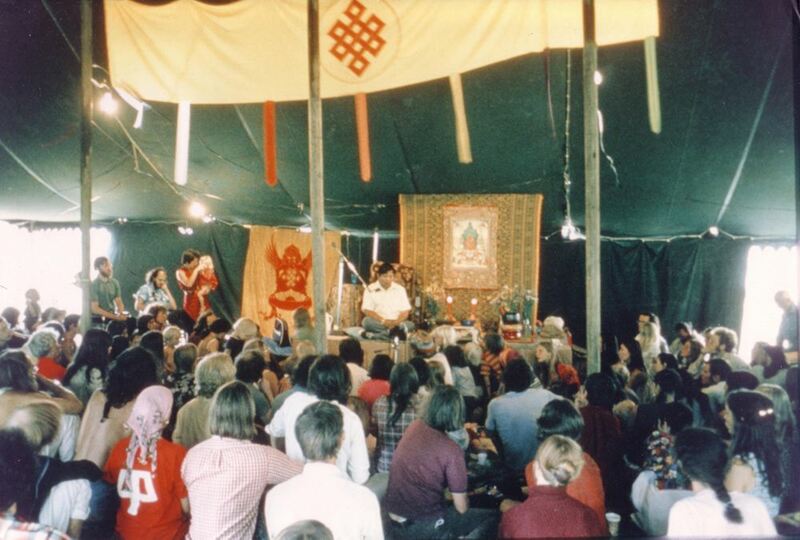 The Vidyadhara received the Karmapa with an impeccable display of devotion and formality, while his students looked on and followed his example. 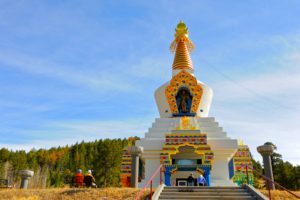 The visit marked a new phase of the community’s understanding and practice of devotion, a practice that is nowhere more vividly manifest than in The Great Stupa of Dharmakaya. A real link and appreciation for the lineage and world of Tibetan tradition, from which the Vidyadhara had emerged, was indelibly forged through this powerful visit. With a view toward the future, in 1976 the Vidyadhara empowered Thomas Rich, one of his American students, as his Vajra Regent. He served as head of the organizations the Vidyadhara founded until his tragic death in 1990. 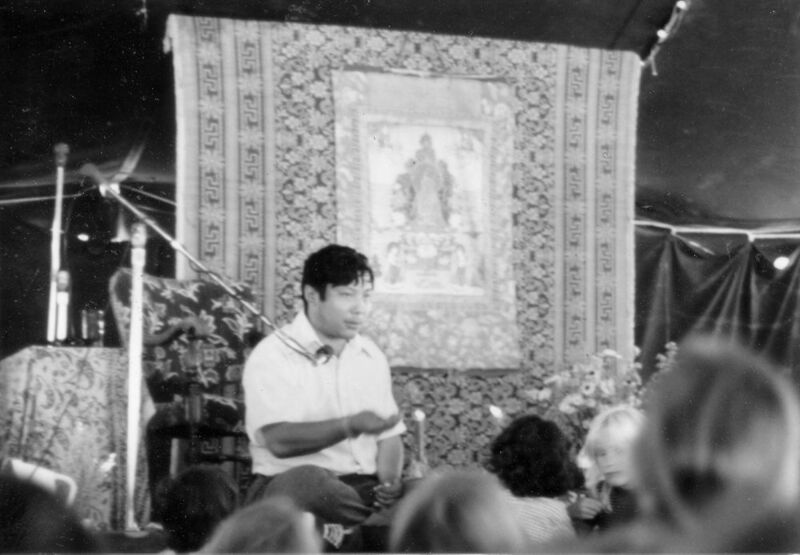 At that point, the Vidyadhara’s eldest son, Ösel Rangdröl Mukpo (Sakyong Mipham Rinpoche), whom he had empowered in 1979 as his successor and Shambhala heir, assumed his responsibility as leader. 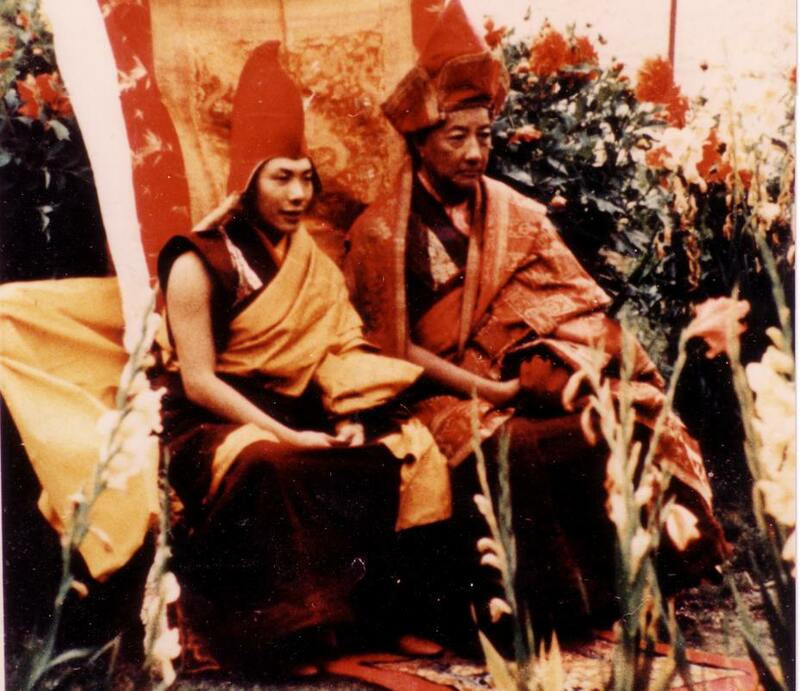 Sakyong Mipham Rinpoche carries on today as the head of the Shambhala community. 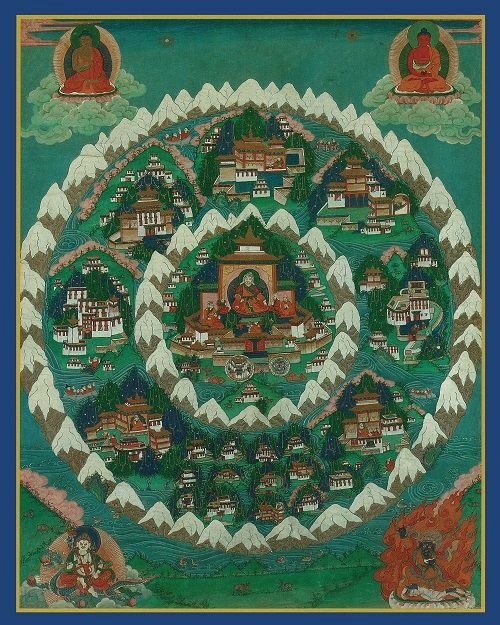 During seventeen years of tireless activity in North America, the Vidyadhara accomplished a miraculous transplanting of buddhadharma into a culture where it had been largely unknown or misunderstood. 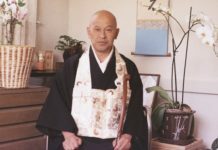 He gave over five thousand talks, established more than a hundred Buddhist meditation centers, and profoundly touched the lives of thousands of students. 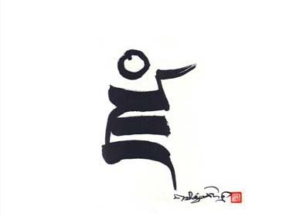 The English words and phrases he applied to Buddhist concepts can now be found in the speech and writings of almost all Buddhist teachers and translators in the English-speaking world. His own books have sold over a million copies. The Vidyadhara’s life was dedicated to planting buddhadharma in the West in such a way that it would take root and flourish for many generations. Historically Buddhism has drawn on the innate cultural strength of the many diverse societies in which it has thrived, each culture providing a setting for the dharma in the same way that a gold ring provides a setting for a diamond. The Vidyadhara encouraged his students to seek out what is valuable in Western culture—that which fosters an appreciation of human dignity, courage, and inherent richness—and to avoid the tendency toward nihilism, cynicism, and malaise so prevalent in contemporary society. 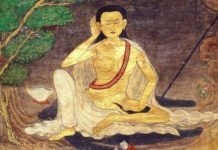 Much of the Vidyadhara’s work, especially in the last ten years of his life, was dedicated to propagating what he called “enlightened society,” which would help the world in many ways and, at the same time, provide a home for buddhadharma in the West. As a model, he pointed to the Kingdom of Shambhala, an ancient (some say mythical, some say real) kingdom of Central Asia ruled by a lineage of enlightened monarchs. Putting his vision into practice, the Vidyadhara created a whirlwind of activity as he shaped the Vajradhatu community into a rich, multifaceted society. 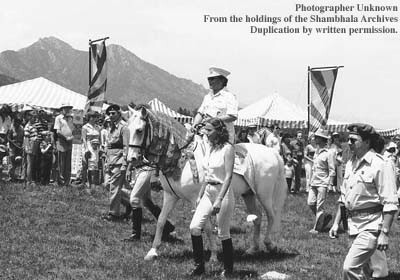 He established a host of organizations and training programs both large and small, including a mediation council, a credit union, an association of health professionals, a translation committee, a theater group, a preschool, an elementary school, and organizations for the study and practice of tea ceremony, Japanese archery, flower arranging, and dressage. He formed the Dorje Kasung, a service organization entrusted with the protection of the Buddhist teachings and the welfare of the community. 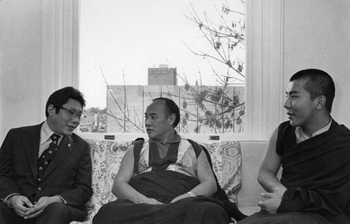 He also reached beyond the Buddhist community by establishing the Naropa Institute, a fully accredited liberal arts university, and the Shambhala Training program, which offers a secular approach to meditation practice based on an appreciation of innate human goodness. Working closely with poets, artists, businessmen, educators, medical professionals, gardeners, cooks, and administrators, the Vidyadhara encouraged them to connect deeply with their own traditions and take an uplifted approach to their disciplines. The diverse community was bound together by a common loyalty and love for their teacher, who in turn relinquished personal privacy and gave himself totally to working with others, the consummate enlightened monarch. Much of this activity, particularly in the later years of his life, took place in his home in Boulder, Colorado, which he fashioned into a court or cultural center, and where he lived with his wife, Diana, and five sons. 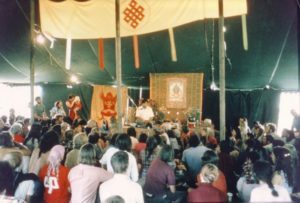 As a further step toward establishing an enlightened society, he moved his court and the international headquarters of Vajradhatu to the province of Nova Scotia in eastern Canada, a beautiful, rugged, and elemental place with a gentle culture, which he felt had the potential to embrace the Shambhala vision in the years to come. 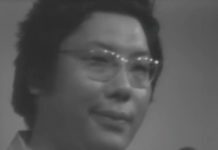 Trungpa Rinpoche, the man at the center of this activity, never seemed to be in a hurry, spending much of his time quietly—a paradox of seemingly effortless, all-accomplishing action. As an artist, he is best known for his devastatingly beautiful poetry, calligraphy, and flower arrangements. But he was also a highly accomplished painter, playwright, and photographer. There was a quality of impeccable precision and playfulness in the way he conducted his life. From the mundane to the monumental, his actions were carried out with careful attention to detail and a tireless sense of humor, yet, when the need arose, he could be fierce and uncompromising. He never gave up on anyone or anything that entered his sphere of activity. 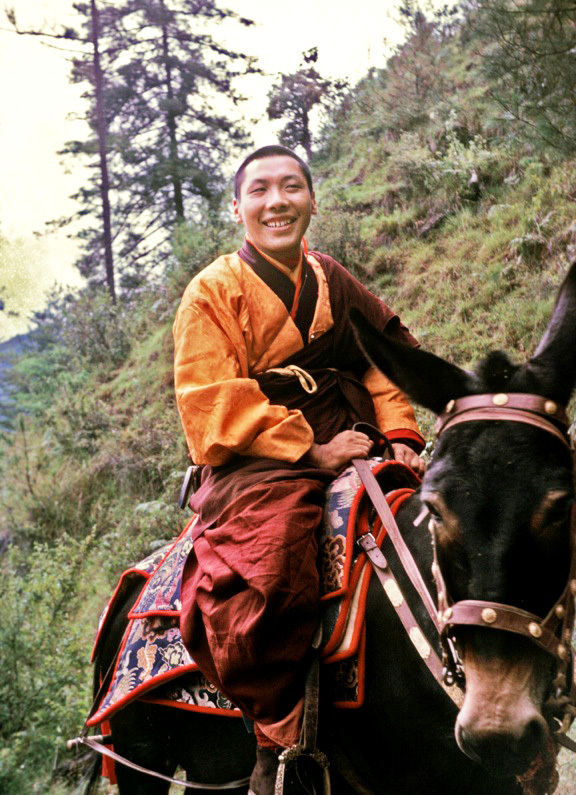 When the Vidyadhara was young he was playing with a precious jewel that had been handed down through the Trungpa lineage, a symbol of spiritual transmission. Carelessly, he lost it by the banks of a river near his monastery, and no one could find it. Years later, after receiving transmission on the nature of mind from his teacher, the Vidyadhara once again went to the banks of the river, and there he found the jewel. May all the aspirations of the Vidyadhara be realized, and may the jewel of his teachings never be lost.